CSS prepared conservation and management plans and performed monitoring, modeling, and field services to protect and restore critical habitat for the largest existing population of the Florida scrub-jay (Aphelocoma coerulescens), a federally listed threatened species. 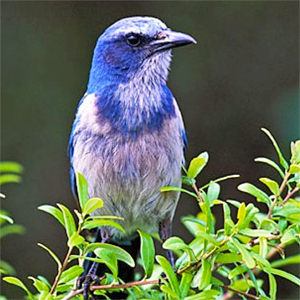 Habitat loss and habitat degradation are the key factors in the decline of the Florida scrub-jay. CSS determined habitat conditions associated with the persistence of this species by using long-term demographic data. Alteration of the historically fire-dependent scrub oak-palmetto community owing to the exclusion of fire events was a major contributor to habitat degradation. Data on habitat use and demography were combined with remote-sensing data to distinguish population sources and sinks. We used Monte Carlo population models to quantify the population trajectory of the population, and linked a habitat suitability model to remote-sensing data by using GIS. We employed habitat models and vegetation studies to identify candidate restoration sites, and to develop and implement habitat restoration techniques. We monitored some restoration areas for more than 15 years to determine success in restoring the Florida scrub-jay population.